The Construction Industry Training Board (CITB) is the organisation that coordinates training in the UK for construction industry workers. As part of this training, CITB runs a grants scheme. This scheme has grown from discussions within the construction industry on promoting and supporting training and qualifications. CITB has designed the grants scheme to meet certain requirements. The first is to boost the productivity and performance of employers. The second is to reinforce the concept of life-long learning. The final requirement is to encourage and underpin construction industry careers. The grants scheme has the support of 14 construction industry federations. Among these are the UK Contractors’ Group, the Scottish Building Federation, the National Association of Shopfitters, the National Federation of Demolition Contractors, and the British Woodworking Federation. Money for the grants comes from a yearly levy. The CITB gathers this from employers involved with the construction industry. All employers registered with CITB can request a grant towards the costs of training and development. Employers do not need to pay the levy before they make a claim. Broadly speaking, it’s the smaller firms in the construction industry that apply for grants. In the absence of such grants, many companies would not have trained employees. Firms can put in a request for a grant that covers the training of all employees. These include sub-contracting labourers. CITB provides a number of documents that clarify the claims process. But essentially there are three claim forms. The first of these is for claiming a number of different grants. These are: professional and technical achievement and attendance grants, Site Safety Plus grants, CPCS Technical Test grants, Vocational Qualification grants and apprenticeship framework achievement grants. The second claim form relates to work experience in the construction industry. It applies to students and graduates. The final form is for training that’s away from the job. Such training should be for a short period. Before making a claim for a grant with CITB, employers should bear in mind the sound training principles. CITB suggests that firms apply the principles according to the size and nature of their work. One of the main principles states that career development and training of employees is the responsibility of senior managers. Furthermore, managers should promote such development and training as a matter of course. Another central principle is that managers should assess the needs of a job and match these to individual workers. Managers can then identify any training that workers need. Other principles concern the acquisition, monitoring and evaluation of workers’ skills. A firm should have a development and training scheme, for instance, which allows workers to obtain appropriate knowledge and skills. A firm should review training and development regularly, make a record of it, and take any remedial action. And a firm should have up to date development and training policies. 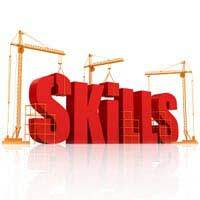 Finally, all construction industry development and training should ideally end with a National Vocational Qualification, a Scottish Vocational Qualification or a suitable credit. If employers abide by these principles, CITB can ensure that its grant scheme leads to practical and positive results. Hi I have a cscs card and ive never worked in the construction industry. I want to do my 360 digger course and was wondering if I could get funding for this course. I've recently passed and received my cscs card. I'm working now as a Labourer and I'm wandering is there any funding to better my income and my skills. I've recently worked as an flt counter ballance driver aswel and I'm interested in driving dumper trucks and even diggers. Any help welcome , thanks in advance. I would like to know if I can claim any funding towards training ? @none. Have you tried the CITB grants mentioned in the article? Here's a link to the CITB. You could also try the Turn 2 Us grants search or the government's grants and bursaries for adult learners - which includes City and Guilds qualifications etc. I would like to no if there is any grants or funding for single indiviuals who would benifit in the construction industry :i e plant operators scheme.Iam 52 and work in the construction industry,i was made redundent in 2013 and in the 10 years before i was made redundent i used to operate all machinary:ie dumper roller telehandler and 360 excavator. Now i work for another company in the construction industry the company will not reconise my certificates which were all in house by a reputal company. Will there be any grants available for me as the company will not put me through CPCS as it would cost to much money.